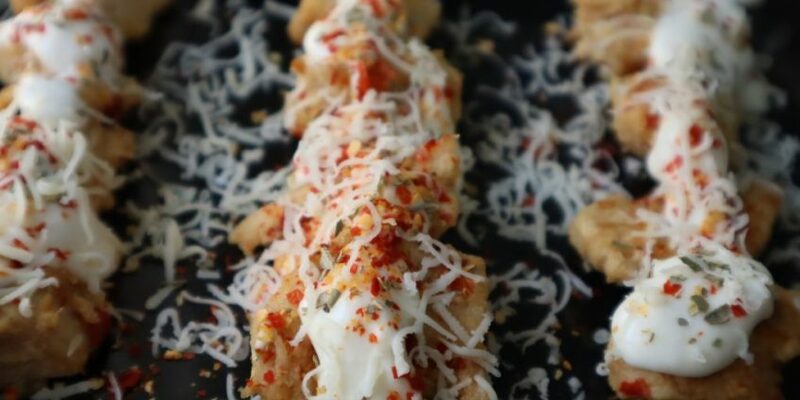 Cheesy chicken tikka is a party appetizer which just melts in your mouth. The taste is incredibly cheesy and yummy. Kids will surely love this taste. Tender tikkas with a creamy layer topping. Each bite is like heaven. The chicken taste so much better with cheese. The cream injected in small chicken pieces is proof when it melts. I am a chicken lover and I always like to make it with different- different flavours. I tried adding orange juice in of the chicken rice recipe and now its the cheese. I got inspired to make this cheesy chicken tikka when I saw one of the cookery show of my favourite legendary chef. She is a charmer in making Non-veg recipes. I always try to find such chicken inspirations from here & there. I have visited more 6 countries and I love trying cuisines around. Well, now we know the power of cheese. 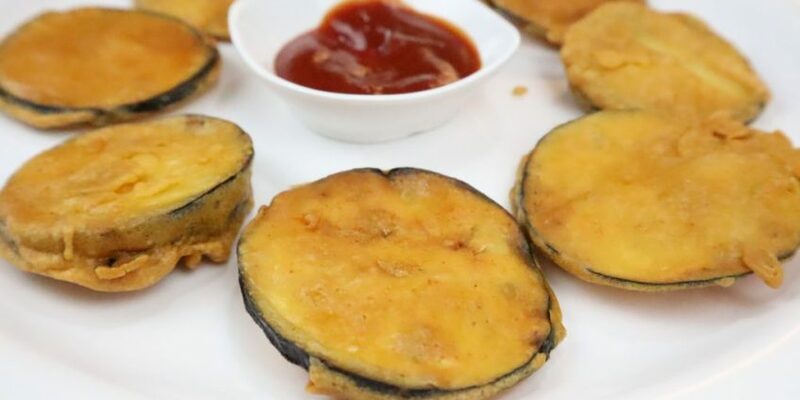 Try this recipe on your friends and share in comments about their experience. Take a marination bowl. 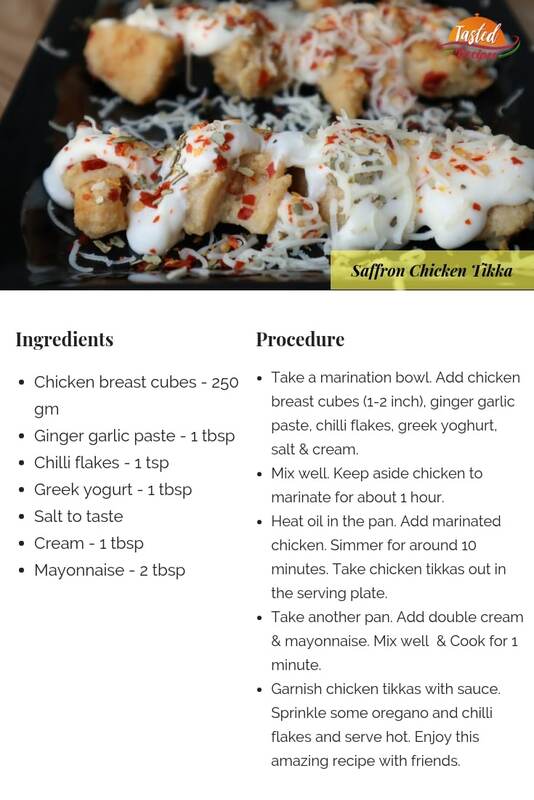 Add chicken breast cubes (1-2 inch), ginger garlic paste, chilli flakes, greek yoghurt, salt & cream. Heat oil in the pan. Add marinated chicken. Simmer for around 10 minutes. 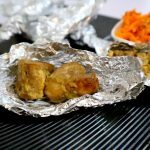 Take chicken tikkas out in the serving plate. Take another pan. Add double cream & mayonnaise. Mix well & Cook for 1 minute. 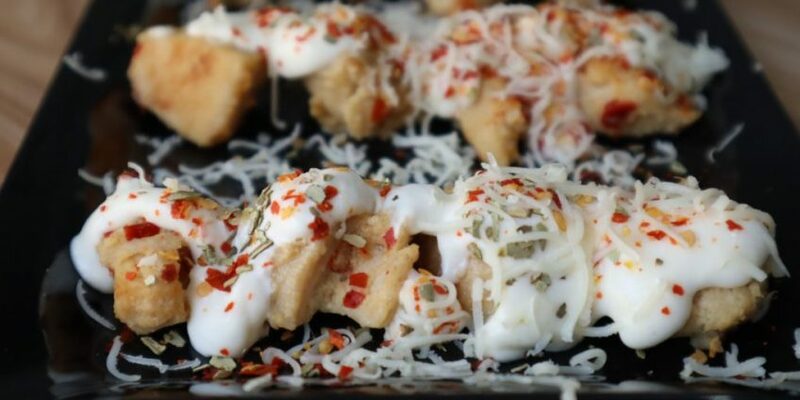 Garnish chicken tikkas with sauce. Sprinkle some oregano and chilli flakes and serve hot. 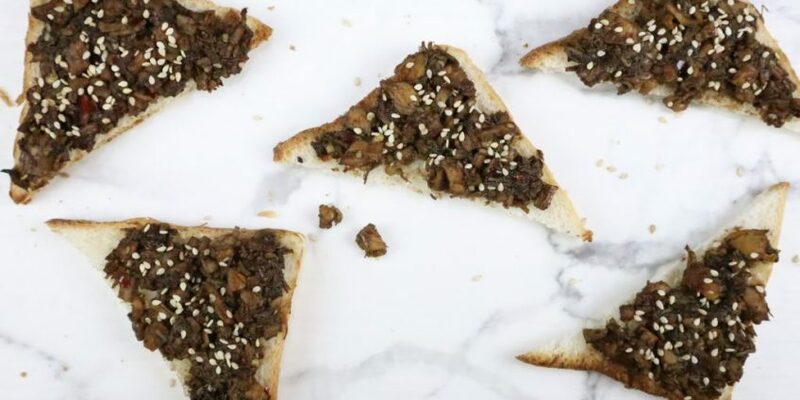 Enjoy this amazing recipe with friends.